The digital naming of the IMOIIMAX tanker Stena Immortal took place yesterday at Stena’s new office in Hellerup in the north of Copenhagen. 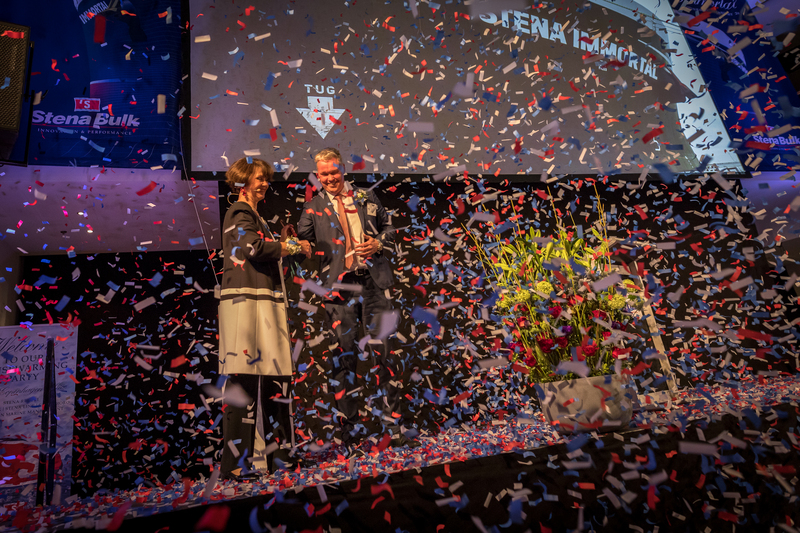 Some 200 guests had gathered to attend the naming ceremony and watch godmother Jane Olsson Thorburn digitally swing the bottle of champagne against the Stena Immortal’s bows. The guests were also given a guided tour, together with refreshments, of Stena Rederi AS’ newly opened office where Stena Bulk, Stena Line, Stena RoRo and Northern Marine Management will also be represented. When the Stena Immortal was named, it was not physically present in Copenhagen but in Houston where it is already in service. The vessel’s Danish presence was solved with modern technology and in Houston, a drone filmed and zoomed in when the classic bottle of champagne hit the tanker’s bows. “This ship naming ceremony using available technology is a sign of the times. Our goal is greater efficiency in everything we do and, accordingly, a digital naming ceremony symbolises a measure of sustainability, efficiency and new technology. 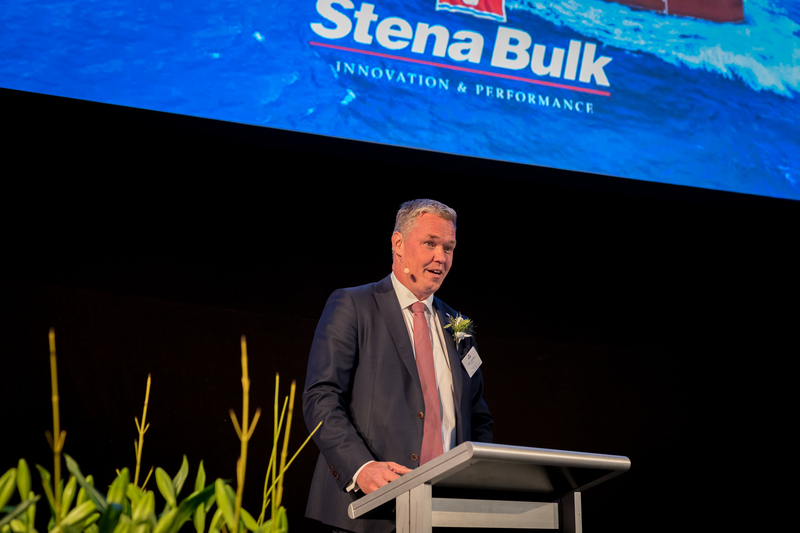 This is what we are striving for and we want to be at the forefront of this process”, comments Erik Hånell, President and CEO of Stena Bulk. The office on Tuborg Boulevard in the middle of Copenhagen’s shipping district was opened by the newly formed company Stena Rederi AS, but Stena Bulk, Stena Line, Stena RoRo and Northern Marine Management are also represented here. Stena Bulk, which recently acquired the remaining 50% of a jointly owned company from Danish Weco Shipping, has moved its staff from its previous office in Rungsted to Hellerup. “About 14 people are now working here and the fleet of some 60 vessels related to the business area at Stena Bulk that operates Products & Chemicals. 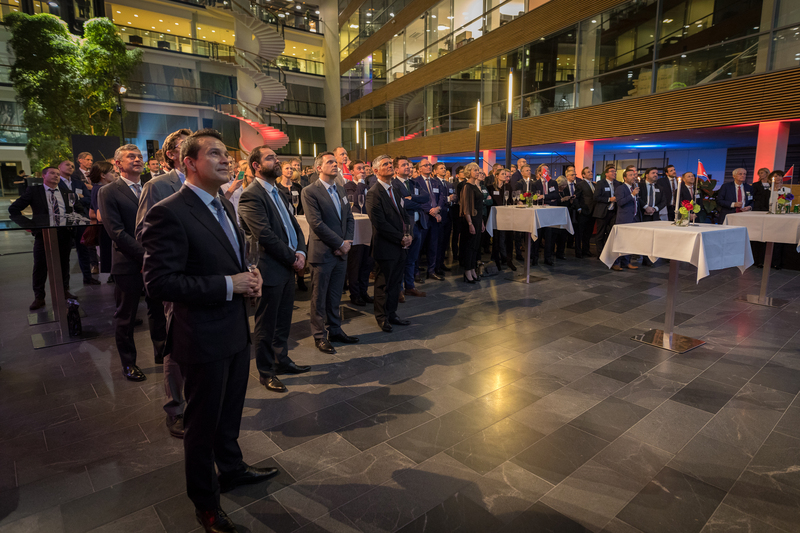 Here, we will also continue to benefit from our closeness to the shipping cluster established here in Copenhagen”, says Erik Hånell. The MR tanker Stena Immortal was built at the Chinese shipyard GSI (Guangzhou Shipbuilding International) in southeast China and is jointly owned on a 50-50 basis by Stena Bulk and Indonesian Golden Agri Resources (GAR). The vessel is the eighth in a series of 13 IMOIIMAX tankers ordered by Stena Bulk in 2012, the last of which will be delivered at the beginning of February this year. Following her delivery in September, 2016, she has sailed in one of Stena Bulk’s global logistic systems - which currently employ some 60 vessels - with a focus on refined petroleum products, vegetable oils and chemicals. 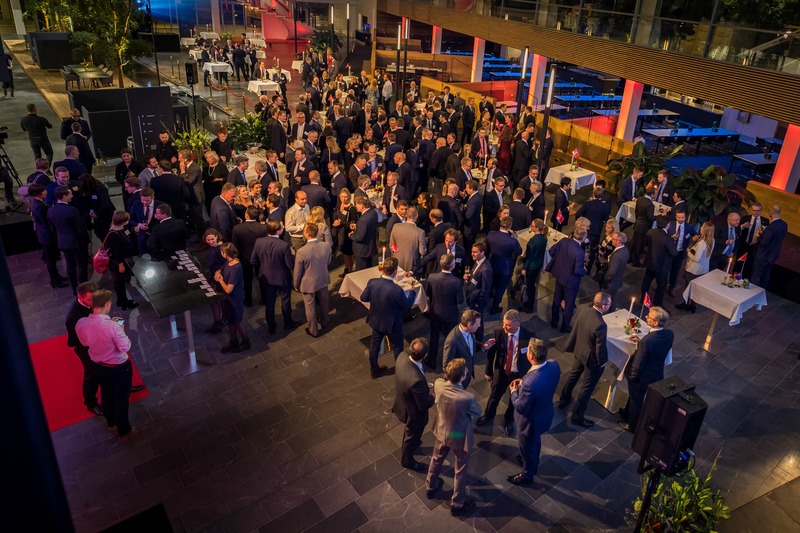 IMOIIMAX is a further development of an already well-established concept and the innovative technical design was developed by Stena Teknik together with the Chinese shipyard GSI. It offers several advantages such as extra large cargo flexibility, a high level of safety and economical fuel consumption.